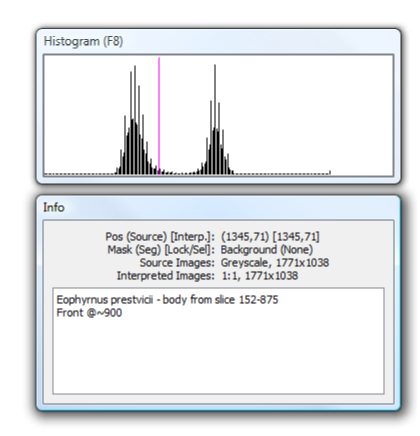 The Histogram panel shows the histogram of the working image for the selected segment of the current image (see Fig. 20, top). This can be restricted to a smaller area by selecting a region with the lock/selection mode, and then ticking the Histogram shows selected on the Mode menu.